Sterile preparations meticulously formulated to treat eyes. The challenge of finding effective and carefully prepared ophthalmic compound medications is one we are very familiar with. Ophthalmic prescriptions must be compounded and sterilized in order to be administered to the delicate eye area. 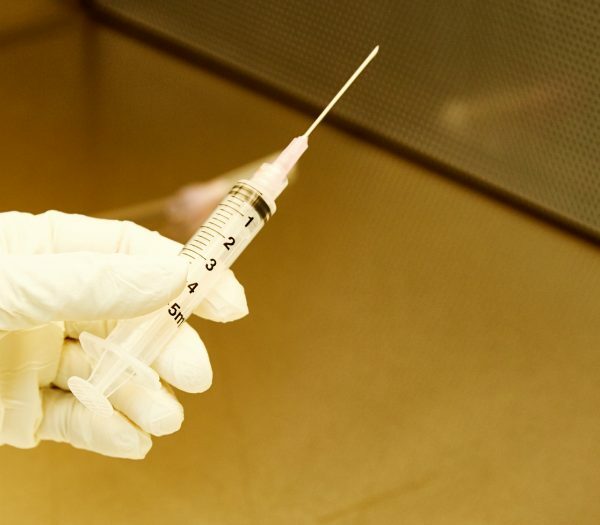 Our technicians are trained in advanced aseptic compounding techniques and manipulations. We also require that they are continually tested and re-certified to ensure competency. This due diligence is an extension of our efforts to provide potent, stable and pure compounds. 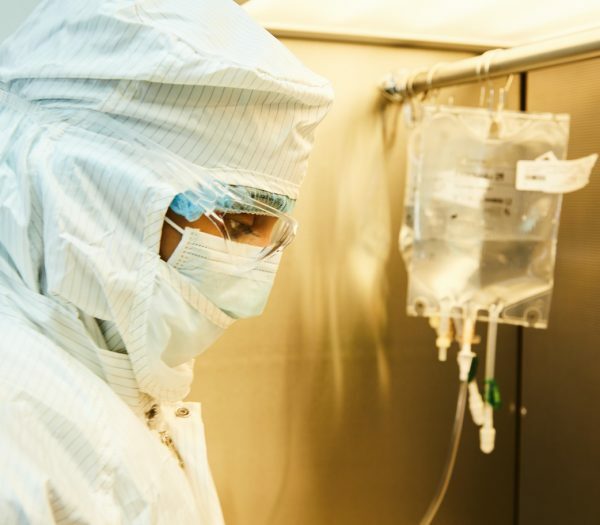 Our state-of-the-art sterile compounding facilities are built to meet the needs of prescribers and patients who are looking for safe, effective and high standards of compounding care. 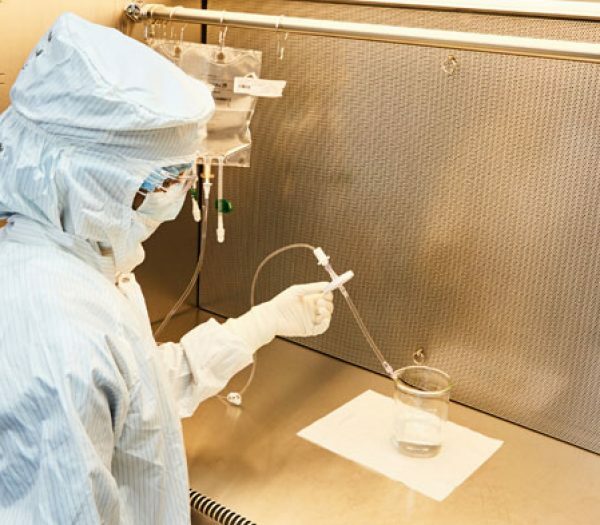 We continually exceed industry standards when it comes to safety and quality measures and we always conduct in-house sterility and endotoxin testing for all sterile compounds. Our sterile compounding technicians have degrees in chemistry or biology plus additional aseptic training. 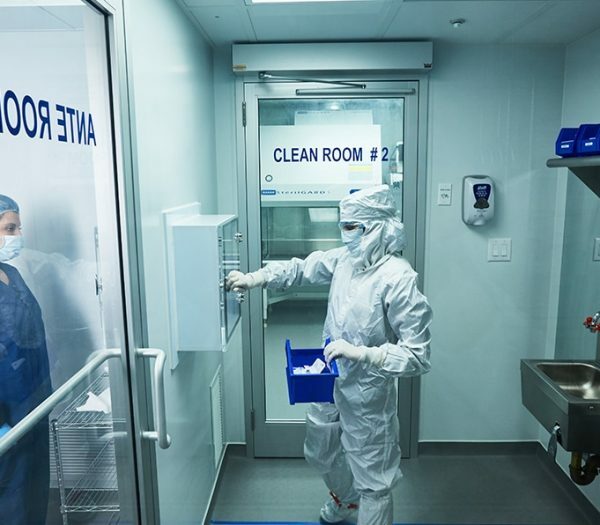 A custom built pass-through unit ensures the highest clean room standards for our sterile facilities. We invest in full body sterile cleansuits like those used in major pharmaceutical manufacturing plants. Sterile formulas are available as IM, IV and ophthalmic preparations. Read more about our licenses and affiliations, our sterile compounding capabilities and visit our labs.